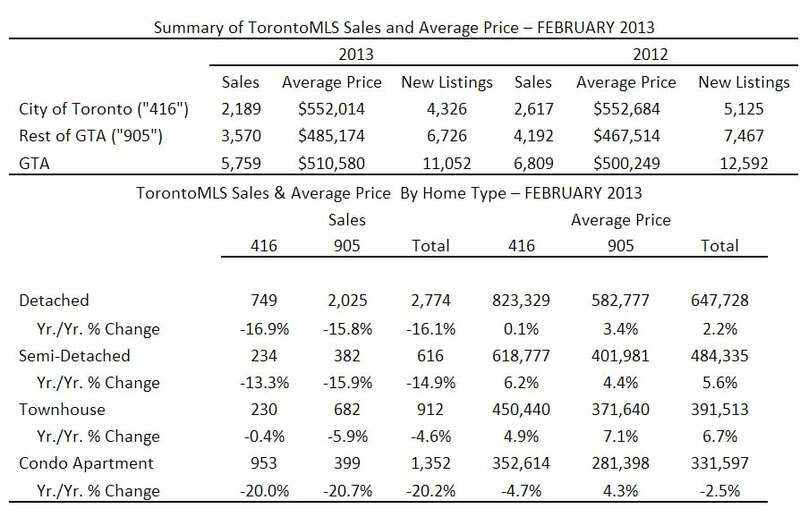 TORONTO, March 5, 2013 — Greater Toronto Area (GTA) REALTORS® reported 5,759 sales through the TorontoMLS system in February 2013 – a decline of 15 per cent in comparison to February 2012. It should be noted that 2012 was a leap year with one extra day in February. A 28 day year-over-year sales comparison resulted in a lesser decline of 10.5 per cent.